Allergies affect almost 50 million people in the United States. If you can’t find relief from allergy symptoms on your own, Dr. Kathy Yu-Syken can help. 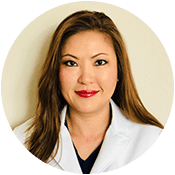 At OCEANN in Huntington Beach, California, Dr. Yu-Syken offers a variety of advanced diagnostic and treatment options to keep your allergies in check and improve your quality of life. You don’t have to let your allergies control you. Schedule an allergy evaluation online or by calling the office directly to learn more. When should I seek treatment for allergies? If the itchy, watery eyes and sneezing you usually have in the spring are now showing up in other times of the year, you may benefit from medical allergy testing and treatment. Dr. Yu-Syken uses comprehensive allergy testing to help you identify allergy triggers and create a custom treatment plan to help you manage your symptoms. You should seek treatment when these symptoms interfere with your quality of life or limit your ability to go outside or into other environments. A severe allergic reaction known as anaphylaxis can be life-threatening. Bee stings and food allergies are common triggers that can make allergy sufferers go into shock. If this happens, call 911 or seek immediate medical treatment. What are common allergies triggers? The list of allergy triggers is nearly limitless, and Dr. Yu-Syken can administer comprehensive allergy testing to determine what’s causing your symptoms. Dr. Yu-Syken can review your symptoms and rule out other possible medical issues before recommending allergy testing. Which treatments are available for allergies? Depending on the severity of your symptoms, Dr. Yu-Syken may initially recommend over-the-counter allergy medications to relieve your symptoms. She may also recommend home care treatments, such as spraying your nasal passages with saline and keeping your home as dust-free as possible. For more serious allergic reactions, Dr. Yu-Syken may recommend allergy shots, which she administers weekly. You may need more than one injection, depending on your allergy triggers. You may also be a good candidate for sublingual drop therapy, a treatment option you perform at home that involves a custom-made allergy solution you place under your tongue once a day. To learn more about available treatment options for allergies, schedule an evaluation online or by calling Oceann ENT.